I’m a busy bee trying to get some items ready for my Etsy shop in time for Valentine’s Day. One of my newest items is a cute crochet heart clip. Here’s the pattern for the heart that I am using for my clips. You can make this in any size and use it for clips, headbands, or any other Valentine-themed craft. A small amount of Category 4 Medium/Worsted weight yarn; I used Lily Sugar and Cream* for this example. Round 1: [3 tr, 2 dc, ch 1 into magic circle] twice; 3 tr, ch 3, sl st into magic circle, fasten off, weave all ends. With a category 2 fine yarn, sl st into one of the sts. 3 hdc into each st around. Join in the beginning hdc with a sl st. I hot glued mine to lined alligator clips but these would be cute sewed onto headbands too. Made this to go on a headband for my step granddaughter. Lovr lovr lovr this pattern. THANK YOU for the heart pattern! I had another pattern that just wasn't turning out correctly. Found yours and wahla! Perfect heart and so easy. I love your flower alligator clips too. Do you have a pattern for them? Hi, Amy! Just wanted to let you know that your adorable little hearts are going to be featured tomorrow at Off the Hook! Oh wow! Thank you Lauren! You've made my day =) Can't wait to link up my newest project. Absolutely adorable! Your blog is super cute, too. THanks for sharing at Pinworthy Projects! Hi Alice! Crocheting is easy once you get the hang of it. I watched a lot of videos on YouTube before I became a "pro." It just takes practice. I'm having a giveaway if you're interested in some free materials to get you started. Thank you so much for posting these. I was just looking for a pattern to make these hearts. They are so cute! 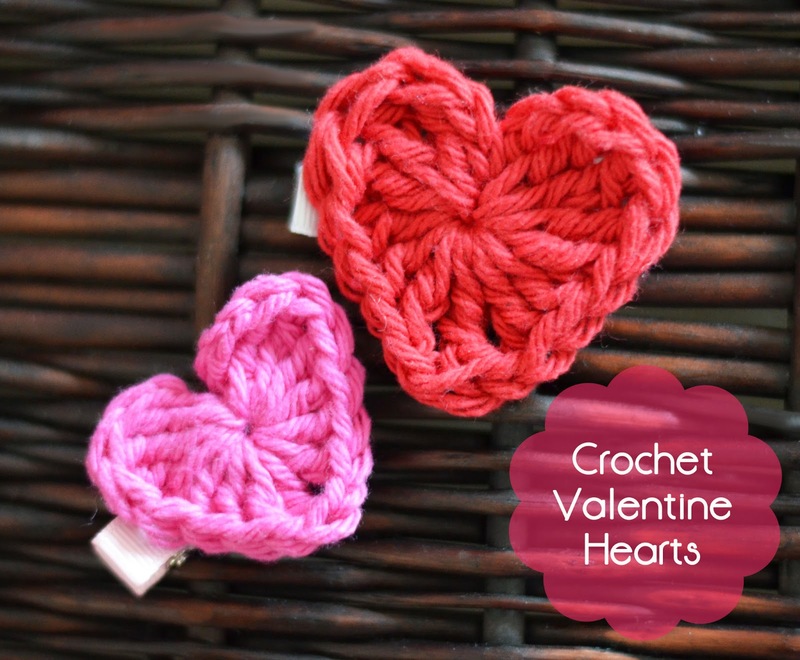 These are adorable – I love crocheted hearts. I hope you'll link up at Off the Hook! These are sweet! What is a magic circle? super cute! 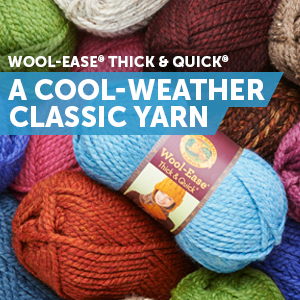 I want to try this for sure, just have to see if I have the right yarn on hand :o) Thanks so much for linking up to Tasteful Tuesdays at Nap-Time Creations. Just wanted to let you know that you will be featured at this weeks party! Thank you Andi! I love your blog. I love to bake and can't wait to try some of your recipes! these are so sweet! I found you via Ginger Snap Crafts linky party! I'll be sharing you with my sister (she loves to knit and crochet!) I'm off to your Etsy shop – glad I found ya!! ooo so cute! Pinned! Would love to have you link up! These are so cute, perfect for Valentine's Day! Thanks so much for linking up to Inspire Me Wednesday. Thank you! You should link these up for my link party tomorrow! I just am learning to knit. Next I want to learn how to crochet. These are so cute! Found you via mamabzz linkup I am @ DearCreatives.com if you'd like to drop by sometime. Thanks Theresa! I learned to crochet first and then learned how to knit. Not sure yet which is easier. There's still more for me to learn about knitting but I'm sticking to it. Good luck! By the way I love your blog! Thanks for linking this up! I just noticed your crafty party. I grabbed the button and will come play tomorrow!